Preserving historic buildings is crucial to retaining our nation’s heritage and history. It is also environmental and practical, basically large scale recycling. It reduces the need for new materials and the other costs of demolition. Small modifications can be made to improve existing buildings to to meet modern building codes and requirements . Recognizing the need to protect such architecture, Congress enacted the National Historic Preservation Act (NHPA) in 1966. It basically requires the existence and continuance of historic buildings for the public benefit and heritage. Such buildings are listed in the National Register for Historic Places, which tends to not only include the building but the surrounding landscape. Within the Standards for the Treatment of Historic Properties, there are four approaches to the treatment of historic properties: preservation (the repair of existing materials), rehabilitation (alterations or additions), restoration (time period adjustments), and reconstruction (material replacement). Copperworks has many experiences helping dozens of organizations with such approaches to preserve and retain our national pride as embodied in architecture. It is interesting to note that while this Act is still enforced, there are many properties throughout the United States that are not kept to the standard that they need to be. Budget constraints reduce a full nationwide effort to retain every building however many building simply need to be identified, funded and then tended to via your construction efforts. Think about the architecture in your area and find the individual in charge of their maintenance to see if your organization can assist in its preservation. It’s not only a civic duty, but a fairly substantial revenue stream for the construction industry. Buildings will always be getting older and the need for preservation and restoration increases every day. With this great amount of experiences comes a wealth of knowledge. 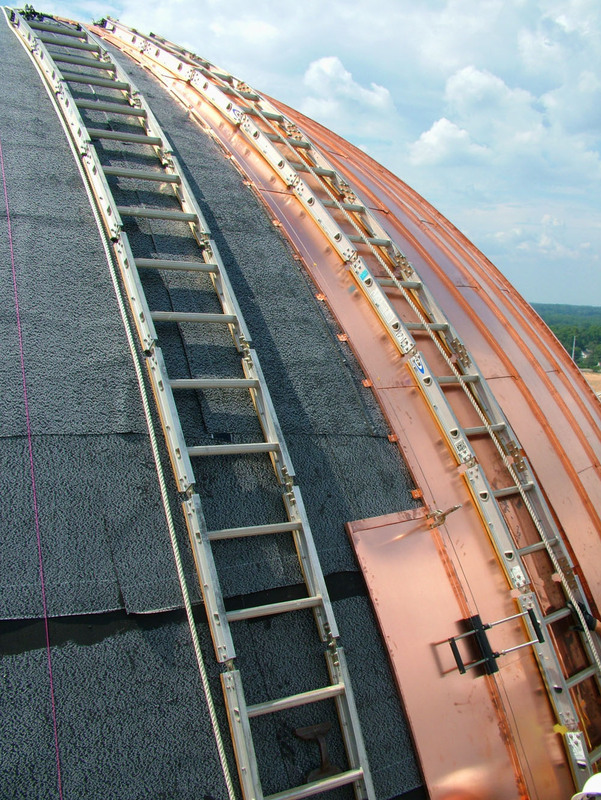 Copperworks not only can do the work itself but offers contractors the ability to pull from our knowledge in the form of consulting. Architects, construction companies and property management all have to maintain and care for these properties and each group has different questions and needs. Call us when you or your organization need assistnance in the preservation of historic architecture.